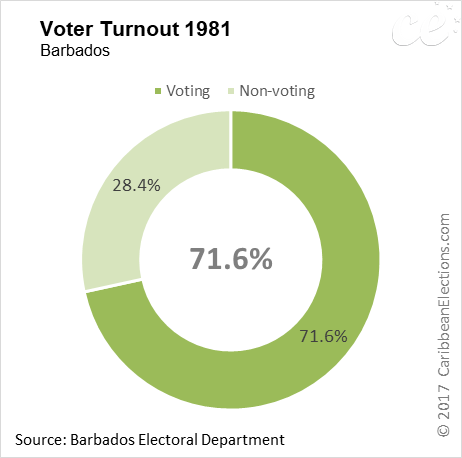 General elections were held in Barbados on 18 June 1981. Elections were held for all seats in the House of Assembly using a first-past-the-post system; the number of seats having been increased by three to 27. 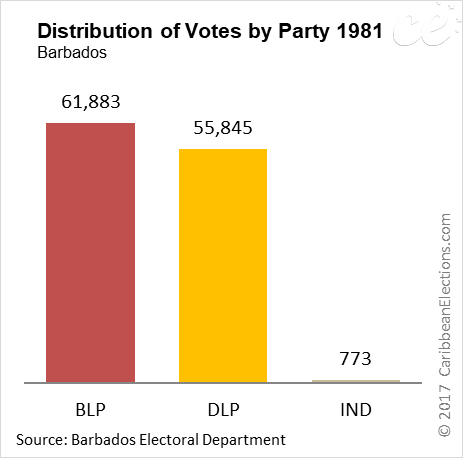 In 1980, the Representation of the People (Amendment) Act, increased the maximum number of seats in the House of Assembly from 24 to 27, the first increase since 1843. 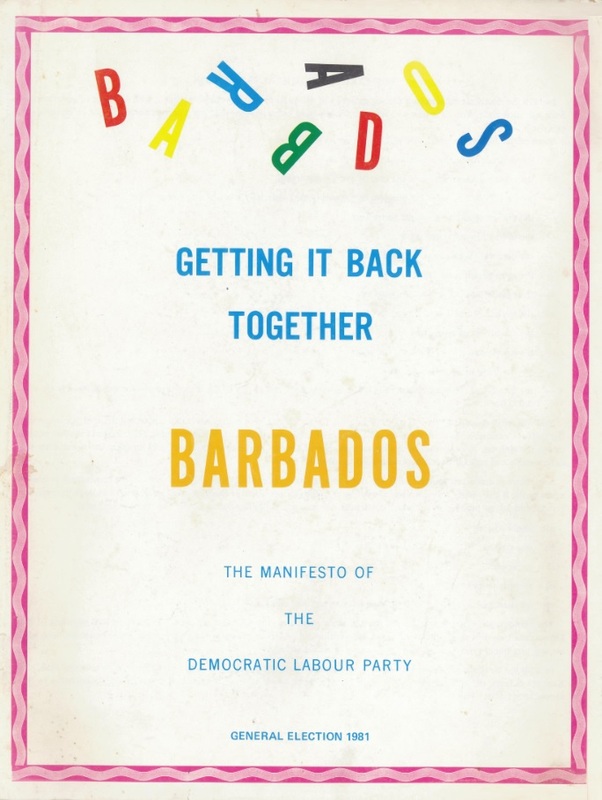 The 1981 elections were the third since Barbados attained independence from Britain in 1966. On 26 May 1981, Governor-General Sir Deighton Ward issued a proclamation dissolving Parliament and Writs appointing Wednesday, 3 June 1981 as Nomination Day and Thursday, 18 June 1981 as Election Day. There were 167,029 registered electors, 76,854 males and 90,175 females. 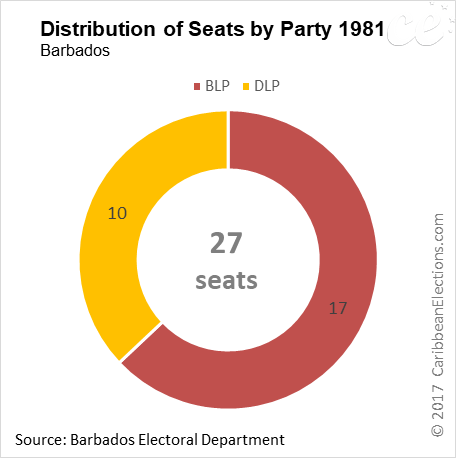 Major contestants for the 27 seats of the newly-enlarged House of Assembly were, as in the past, the ruling Barbados Labour Party (BLP), led by Prime Minister J.M.G.M. 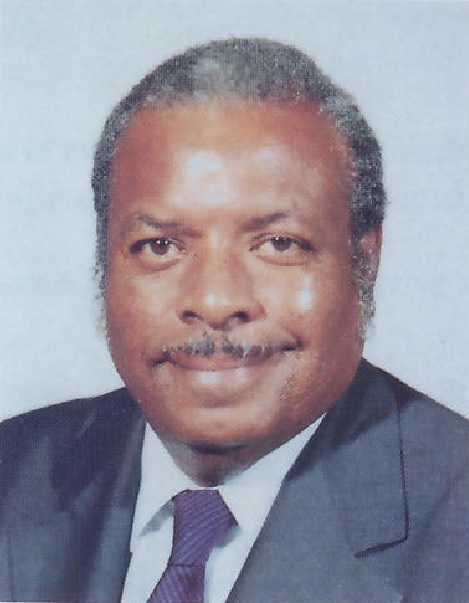 (Tom) Adams, and the Democratic Labour Party (DLP), headed by Errol Barrow, a former Prime Minister. Both were regarded as moderate parties. The BLP underlined its recent record in office, during which unemployment declined and per capita income rose, both to a considerable degree. A total of 59 candidates from two political parties contested the election. 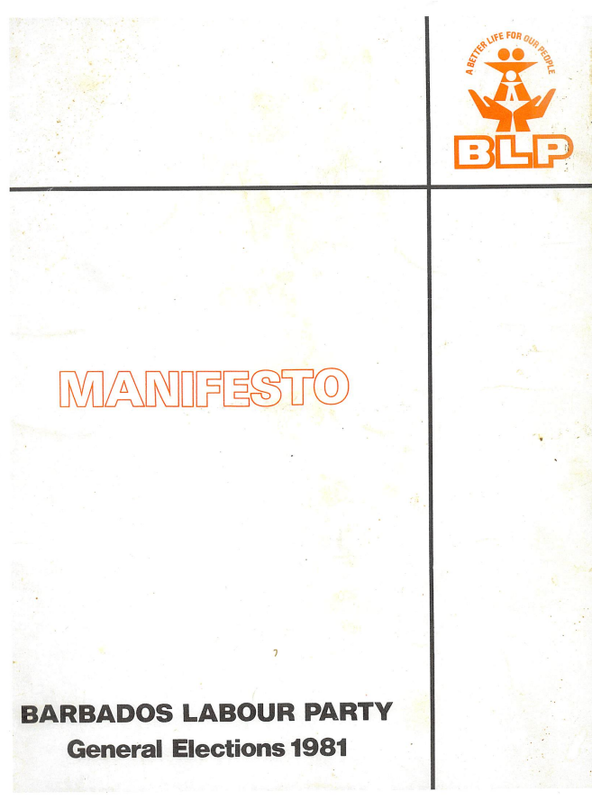 The BLP and DLP both presented a full slate of 27 candiates. There were also five independent candidates. 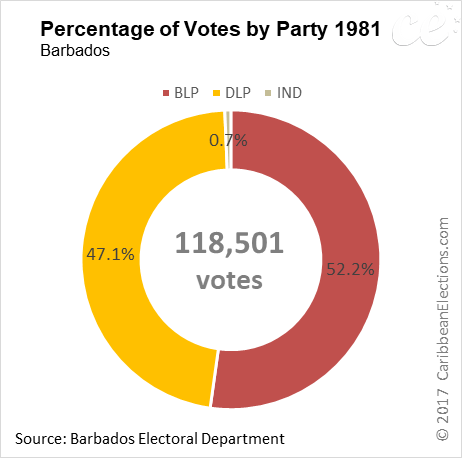 On polling day, Adams' BLP survived a strong challenge from former Barrow's DLP to win a second consecutive term of office as his party won the same number of seats (17) as before but had its parliamentary majority reduced because of the intervening expansion of the Assembly. On11 March 1985, Prime Minister Adams 'died suddenly at his official residence of a heart attack. 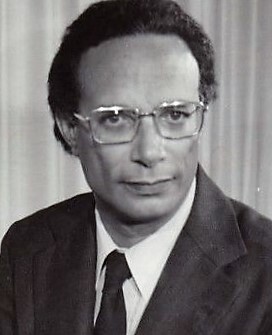 Bernard St. John, the Deputy Prime Minister, was appointed Third Prime Minister of Barbados by Acting Governor-General Sir Arnot Cato.